Have you tried too many "diets" over the years in a never-ending battle to lose weight? I will admit; I have. I will also admit that most of them were either impossible to incorporate into my lifestyle--or they failed miserably. I saw some weight loss with some of the fad diets--but, typically regained that loss and more the second I attempted to eat "normally" again. 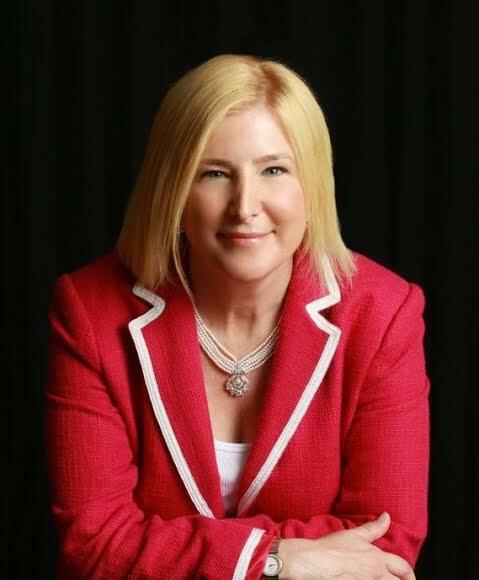 I was very interested to read and review Lisa Tillinger Johansen's book, Stop the Diet, I Want to Get Off. What did I think of the book? I received a complimentary copy of this book for use in my blog review. All opinions and experiences are my own. I have also joined the iRead Book Tour Giveaway--where you may enter to win a copy of this book at the end of this post! 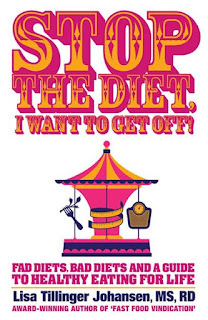 Quick Summary of Stop the Diet, I Want to Get Off by Lisa Tillinger Johansen. The Paleo. The Zone. The Gluten-free. Another day, another diet. We’re caught in a never-ending merry-go-round of weight loss plans, fueled by celebrity endorsers, TV doctors and companies angling for a piece of a $60 billion industry. But do these diets really work? And how healthy are they? Registered Dietitian Lisa Tillinger Johansen examines dozens of the most wildly popular diets based on medical facts, not hype. And along the way, she reveals tried-and-true weight loss strategies, relying on her years of hospital experience, weight-loss seminars and community outreach efforts. With insight and humor, Stop The Diet, I Want To Get Off shows that the best answer is often not a trendy celebrity-endorsed diet, but easy-to-follow guidelines that are best for our health and our waistlines. Johansen Breaks Down the Diet "Cycle". Throughout the first part of Stop the Diet, I Want to Get Off, Johansen shares the many (many, many, many) fad diets, celebrity endorsed diets, and unhealthy diet plans that have circulated over the years. She defines the pros/cons--and dietary realities of them. While we all know that our body needs certain key nutrients, vitamins, minerals, and caloric intakes to function properly--we still fall into the fad, quick-fix, diet traps. She breaks down diets that I have never even heard of--as well as popular plans like Atkins and Jenny Craig. She also considers factors such as cost of the diets and expectations (like exercise) that dieters sometimes ignore when participating in "diets". Johansen Offers a Plan. Readers--especially those seeking a quick fix or instant success--may be disappointed in the plan offered in Stop the Diet, I Want to Get Off. It isn't a diet--it's a lifestyle change. Healthy eating, incorporating exercise, watching portion sizes, and changing the mind's perception of "comfort food" are all key to stopping the diet cycle. Lifestyle changes are difficult and this book compiles a lot of useful information for readers. It also has a very large resource section reflecting many of the ideas presented in this book--and offering readers additional resources to make some diet and lifestyle changes. 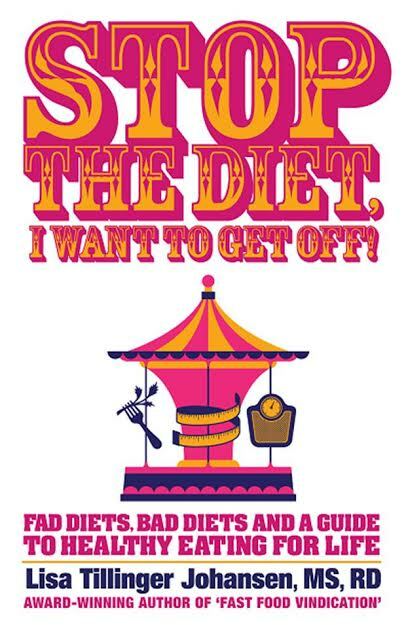 Would I Recommend Stop the Diet, I Want to Get Off? Johansen offers a lot of insights into why diets (and dieters) fail. I would recommend this book to anyone planning to become serious about a healthy diet rather than a fad diet. If you are well-versed in nutrition, exercise, portion sizes, and dietary needs--this book may not offer you many more insights. However, if you need an eye-opener to help you estimate portions, plan meals, and change your food lifestyle; this book is a great starting point for that. Lisa Tillinger Johansen is a Registered Dietitian who counsels clients on a wide range of health issues. Her debut nutrition book, Fast Food Vindication, received the Discovery Award (sponsored by USA Today, Kirkus and The Huffington Post). She lives in Southern California. I would love to win this because I am constantly on a diet but cannot seem to lose weight.